Our resident churchmouse gets lonesome in the evenings. Audience members invited to participate with a favourite winter poem, song or short tale. Or just come listen and enjoy! What a year it has been, thank you to everyone who’s subscribed to our Newsletter! Join the Royal BC Museum and Friends of Uplands Park at Willows Beach for a Seine Net explore. More than 20 species of fish, crabs and shrimp and other invertebrates will be brought into shore by the museum experts, with a large seine net, so that people can see what lives beneath the waves. Join Friends of Uplands Park and the Greater Victoria Green Team to help restore the endangered Garry Oak Ecosystem. Removing invasive ivy and planting native plants will connect you to your natural world, offer outdoor exercise and social connections, all for free! Refreshments, gloves, tools and instruction provided. Oak Bay Mayor Nils Jensen has proclaimed Tuesday, November 22, 2016 Sno’uyutth Day . 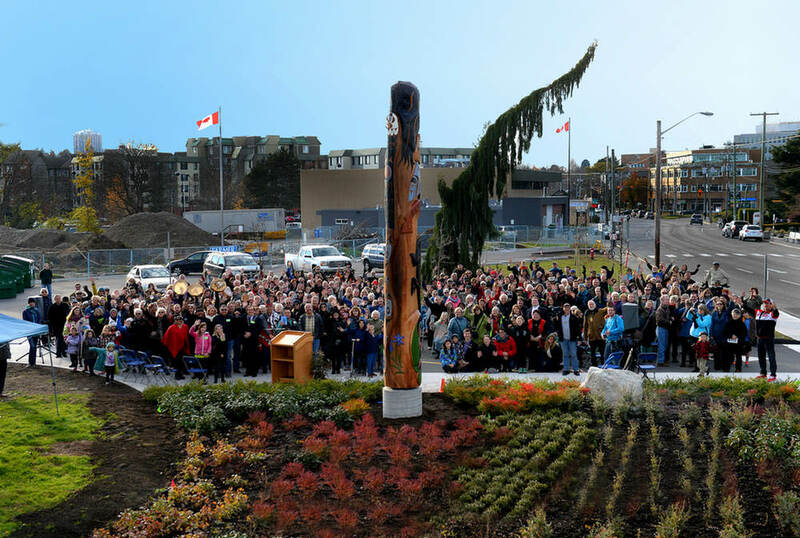 This marks the anniversary of the unveiling and dedication of the Sno’uyutth welcome pole at the new Oak Bay High School. The Community Association of Oak Bay is here to provide you information on the community! There’s dedicated associations within our neighborhoods and we want to share what they’ve been working on! You’re invited from Friends of Uplands Park! Join Oak Bay Parks staff and Friends of Uplands Park to learn about our native trees and the invasive trees, and plant trees and other native plants from 10 to 12 noon.